The Dark Knight’s final hurrah from Rocksteady is a worthy journey, rife with emotional twists and turns. 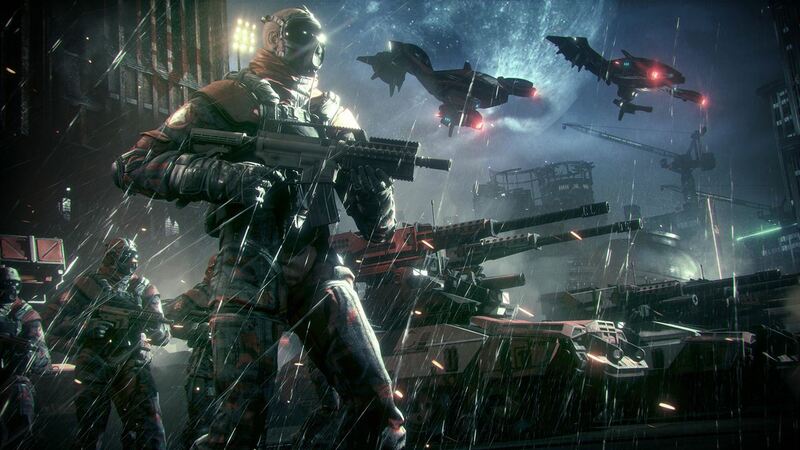 Depending on who you’ve talked to, Rocksteady Studios may or may not have done it again with Batman: Arkham Knight. 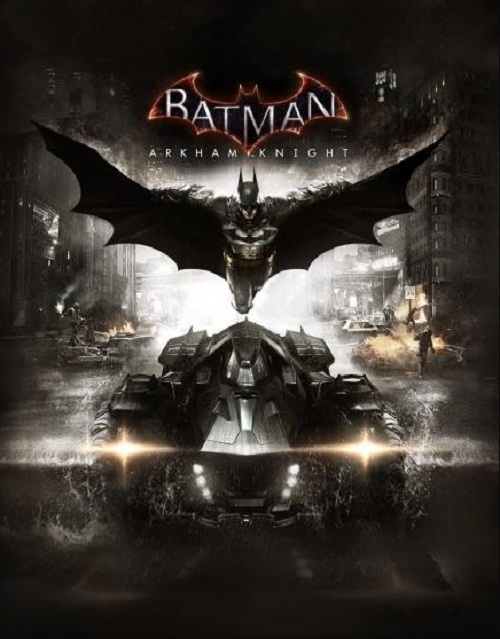 The open world action adventure brings back many of the series’ tried and true hallmarks like Free Flow Combat, stunning attention to detail, stellar voice acting and somehow finds several new ways to expand on the experience of being the Batman. Some of those methods succeed better than others, of course, while approval of some mechanics like the Batmobile is entirely subjective. But we’ll get to that. Taking place several months after the Joker’s death, Gotham City is experiencing peace like never before. Of course, this is only the prelude to the storm as Scarecrow announces plans to detonate a chemical bomb loaded with Fear Toxin on the East Coast within 24 hours. Along with help from other villains like Two Face, Riddler and Harley Quinn, Scarecrow also has the Arkham Knight by his side. This technologically advanced foe has an entire mercenary army at his beck and call and seems to have an especially bitter grudge against the Batman. "Many of the quests that pop up involving other villains are optional and the various times when you have to meet with Nightwing or check in with Robin serves to tie into the story somehow. " You’d think the entire game would play out as a constant cat-and-mouse chase between Batman and the villains. However, for perhaps the first time in the Arkham series, we get to see Batman with his back against the wall and seemingly being torn apart from every direction. Bruce Wayne’s insistence on handling things alone often comes back to bite him and it doesn’t help that the Arkham Knight isn’t above targeting his biggest weaknesses. Combine this with a special return appearance which is handled cleverly and you have a more personal and emotional Batman story than, say, Arkham City. Arkham Knight is also interesting because it doesn’t necessarily throw a bunch of villains at you right away. Gotham City is in chaos, with the insane premise leading to relatively empty streets with crooks and mercenaries roaming freely. Many of the quests that pop up involving other villains are optional and the various times when you have to meet with Nightwing or check in with Robin serves to tie into the story somehow. There’s also the fact that Batman: Arkham Knight has a variety of different quests, even more so than Arkham City. Between investigating some grisly murders set to the tune of opera music, discovering the mystery behind the Manbat and engaging in high speed chases with Firefly, there’s a lot of interesting unique things to do in Arkham Knight. While Gotham City may not necessarily beat The Witcher 3: Wild Hunt in terms of open world scale, it still offers a multi-level city ripe for exploration. Batman’s quest will take him both above ground and below it in effort to stop Scarecrow, and while there is the odd backtracking mission here and there (such as when you have to clear the Clock Tower of baddies on two separate Predator missions), the world offers plenty of unique activities to keep you intrigued. "Of course, there are some downsides to Arkham Knight. You'll either like or absolutely loathe the Batmobile, which acts as a means of transport, a combat tool against the various drones and tanks of the Arkham Knight and a puzzle solving gadget of sorts." The combat has also been significantly expanded this time around as well. 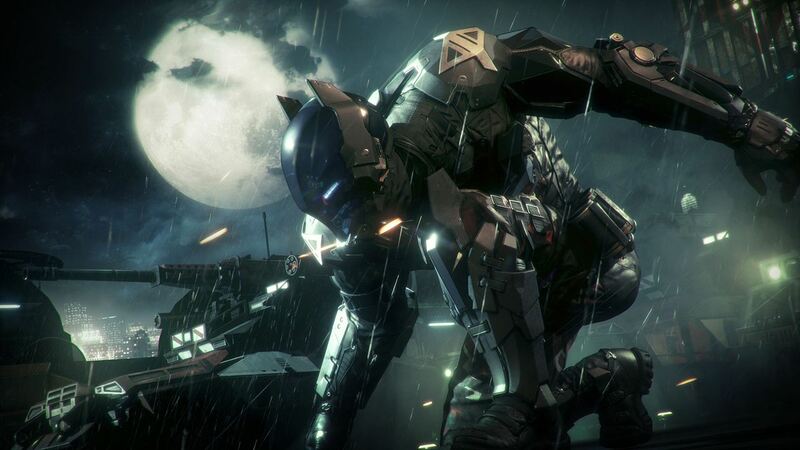 While the general rule of Free Flow – ‘X’ to attack and ‘Y’ to counter – is still in effect, there are tons of different ways Arkham Knight builds upon it. You can now Super Stun foes into the air and kick their bodies into a crowd to allow some breathing room. Perhaps you fancy picking up a weapon and evening the odds, knocking out one foe at a time. The new Fear Takedowns allow you to decimate a group of foes in a single QTE sequence, provided you get the drop on them. Combine this with dual takedowns and environmental attacks and there’s tons of variety to the combat. The game is also generous when it comes to upgrade points so you don’t have to go out of your way to complete various side-missions. 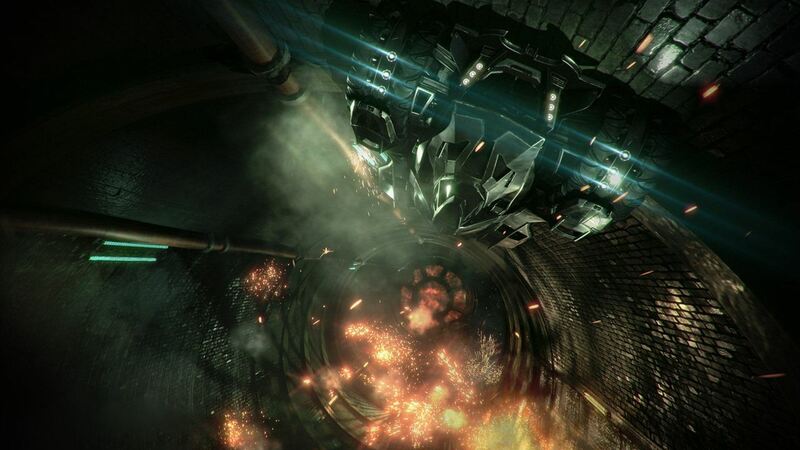 Of course, there are some downsides to Arkham Knight. You’ll either like or absolutely loathe the Batmobile, which acts as a means of transport, a combat tool against the various drones and tanks of the Arkham Knight and a puzzle solving gadget of sorts. I find the controls awkward at first and often confused the Left Trigger for braking when it actually entered Battle Mode. For the most part, the sequences which employed the Batmobile as a tool and saw you working in tandem to bypass most obstacles were fun for me. The races are also tons of fun and suffice to say, some of the more epic scenes wouldn’t have felt as cool without the Batmobile. However, it can also be a drag when it comes to combat. Playing hide and seek with devastating tanks to get the drop on them? That’s pretty fun but only when done a few times and then it’s diluted with several other times that you have to combat the drones traditionally. This starts to drag close to the end of the game and is perhaps the most glaring example of forcing a repetitive activity on players. It’s not as though battling tanks is terrible but it’s monotonous when you’re just looking to dodge projectiles (indicated in straight lines), fire critical hits and build up the multi-missile strike, each and every time. "Batman: Arkham Knight is a rather intriguing conclusion to the series. 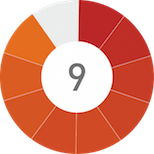 From a storyline point of view, it offers an enthralling if somewhat padded campaign with lots of variety and the signature gameplay of the previous games." Say what you will about some of its gameplay choices but there’s no denying that Batman: Arkham Knight is just flat-out beautiful. The ever-pouring rain dampens Batman’s cape at all times while refracting the light sources around it. An insane amount of detail also went into the environment itself and the game’s draw distance capable displays the whole city while also maintaining a steady 30 FPS frame rate most of the time. Enough praise cannot be heaped on the cast as well, be it Kevin Conroy as Batman, Jonathan Banks as Commissioner Gordon or John Noble as Scarecrow. It’s a shame that with such a polished presentation that the occasional animation glitches pop up every now and then. Then again, there are other times where you have to marvel at the various real-time story events that play out before you and change depending on the perspective of your camera. It can become pretty twisted at points and only pushes the story that much higher above Arkham City’s plot devices. Batman: Arkham Knight is a rather intriguing conclusion to the series. From a storyline point of view, it offers an enthralling if somewhat padded campaign with lots of variety and the signature gameplay of the previous games. Its open world is large and full of fun things to do, even if the implementation of the Batmobile annoys the player every so often. How Rocksteady Studios and Warner Bros. will handle post-launch content remains to be seen, especially since the Harley Quinn pre-order DLC was less than compelling (and short). However, Batman: Arkham Knight is an excellent title on its own and a strong capstone on the series in general. Free Flow Combat is still great and expanded upon significantly. Great mission variety and large open world. Compelling story-line and side-missions. Fantastic visuals and presentation along with top-notch voice acting. Batmobile combat becomes repetitive after a while. Vehicle's use feels forced at times. The odd glitch pops up here and there. Batman: Arkham Knight may not have been the conclusion everyone expected but it's still an all-round excellent open world action adventure that brings the trilogy to a satisfying close. Not all of its mechanics gel together well but what works makes for a compelling play-through.